A pleasant couple of hours on our lovely river this morning resulted in three fish, and of these, the one pictured was by far the best. 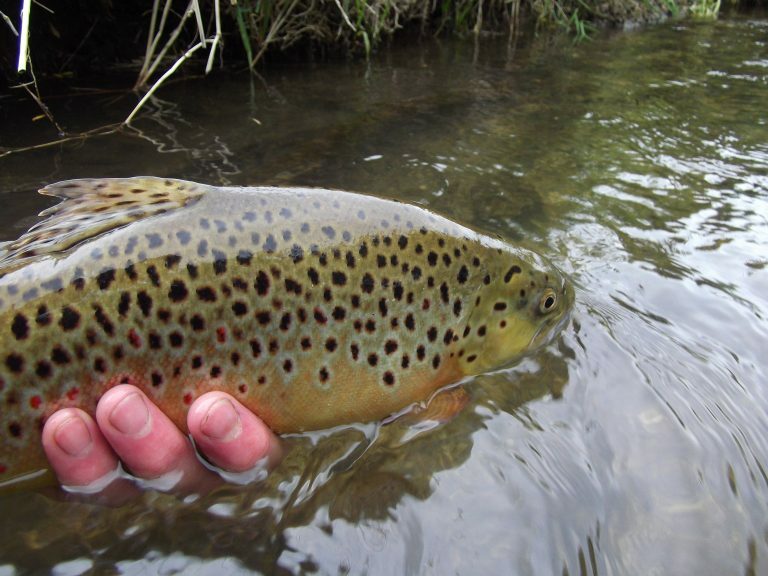 A beautifully coloured native trout, and although neither weighed nor measured, it was certainly over 14 inches and pretty chunky. I had quite a bit of trouble holding this feisty individual long enough to get some sort of picture with the other hand – and then only got part of it. The two others were of about a pound or so each. These were the only fish I saw rising and all took a dry grannom type pattern happily enough. Strangely my nymph on this occasion found nothing.